The Alabama Non-Traditional High School Diploma Option (HSDO) is an alternative to the GED high school equivalency, designed for students who have completed all of the required credits for graduation but failed the Alabama High School Graduation Exam (AHSGE), or students who have dropped out of the traditional high school setting. For an adult who attended an Alabama high school and earned enough credits to graduate, but did not pass the high school graduation exam. Am I Eligible For Option 1? For an adult who earned 10 or more credits from an Alabama high school and requires additional credits for high school completion. Am I Eligible For Option 2? Both the Decatur and Huntsville campuses offer HSDO ONLY classes. You must meet with a Coordinator before attending class. My last high school was out of state, can I still be a part of the HSDO program? Your last school of record must be an Alabama high school. If I complete this program do I get a certificate or an actual diploma? 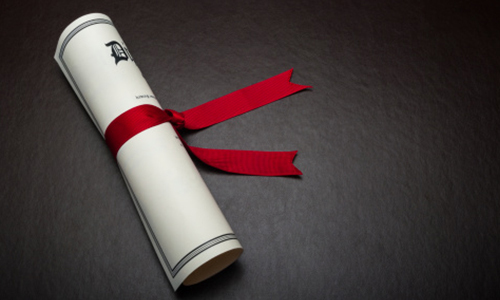 You will receive a diploma from your high school. Note: The date of graduation will be this year. We don’t like to estimate your time in the program simply because every student is an individual.